Downtown Gatlinburg is located 5 miles from Avalon Ridge. The scenic ride to downtown takes you through the Arts & Crafts Community of Gatlinburg. Kitchen Has It All! Microwave, Coffee Maker, Toaster, Full Size Fridge, Full Electric Range, Double Sink, Full Set of Cookware, Roasting Pan, Electric Carving Knife, and much more! Four nights relaxation near the Smokies. Great place out of the Gatlinburg mainstream. We really enjoyed our stay here. We had everything that we needed. Very quiet and secluded. We would definitely stay here again. I loved everything about this cabin i truly could not have asked for more for the price! It was very clean and well stocked with everything we could have needed. The cabin was beautiful and decorated very nice. We loved the fire places and the hot tub very relaxing. We will definetly stay hear again i highly reccomend! Wonderful cabin! Great location! Everything we needed for our family! 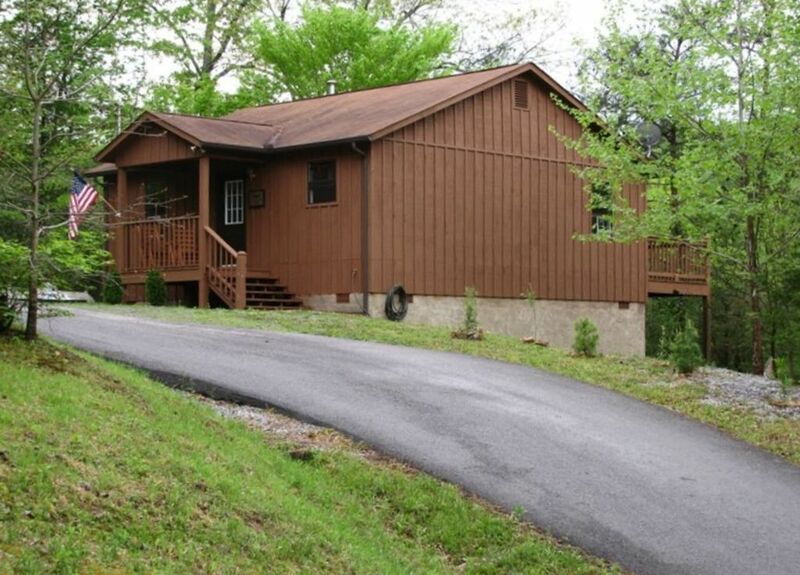 The cabin is conveniently located to both Gatlinburg & Pigeon Forge. Everything we needed was available. Check-in and out were as breeze. We had a wonderful family trip forNew Years! I cannot say enough about how wonderful this little place is. First off, Maureen is great. The communication was there any time you needed to ask a question. Secondly, most everything you need is in this cabin. There are plenty of dishes, silverware, cutlery, pots and pans, washcloths, towels. A washer and dryer combo, a grill. Plenty of blankets and sheets. We had such a good time playing board games with our girls and it was nice to come back after a long day of activities and feel like you were coming home. It was nice and secluded(you could hear a little road noise now and then but that was fine with us) and mostly quiet. We will definitely stay again when we come back to the area. The perfect cozy cabin getaway...and so clean! We loved everything about our stay here. The cozy fire places, the extra towels, the little basket with hot chocolate and oatmeal, the board games we enjoyed playing as a family, the comfy bed, and the amazing whirl pool tub! It was all great and super clean! We will definitely be booking another stay here in the future!